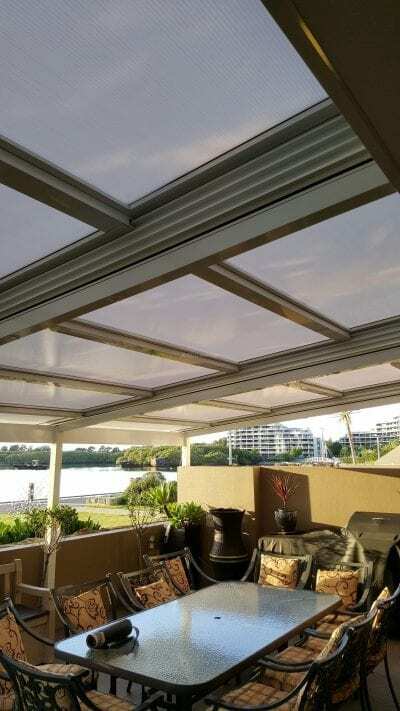 Transform your existing internal and external Living Areas with an Eco Awnings Retractable Polycarb or Glass Roof. 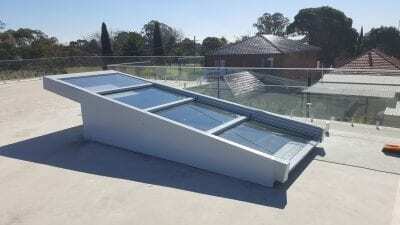 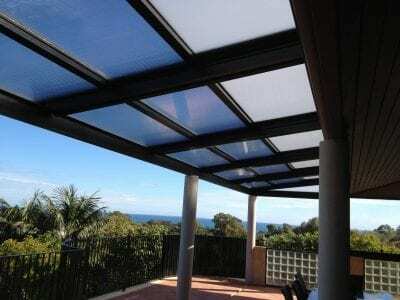 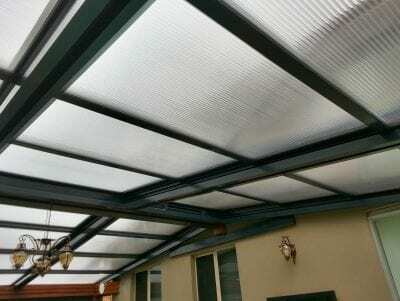 Your choice of either Glass, Polycarbonate or Solid Panels is especially relevant in our Aussie climate. 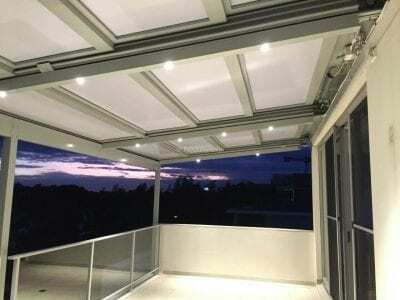 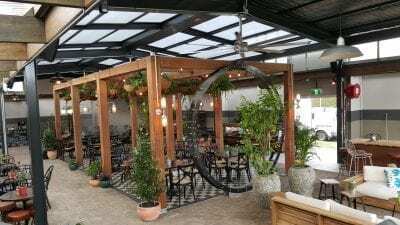 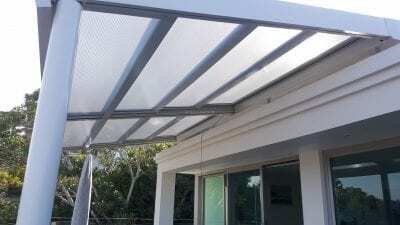 Retracta Roof will easily mount to your existing wall or roof structures because Eco Awnings can customise fixtures, if your site requires it. 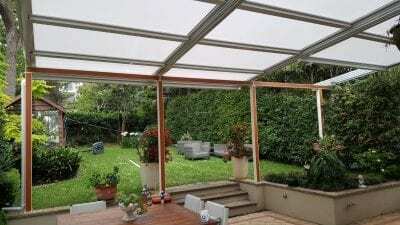 Furthermore you can then add lights, fans and heaters. 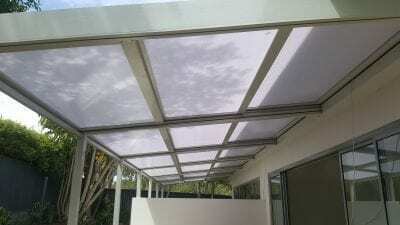 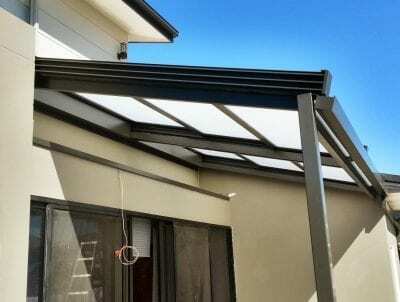 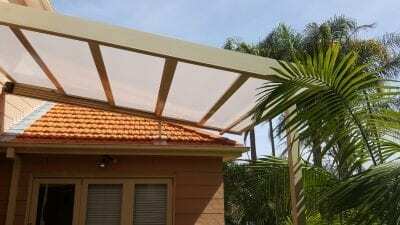 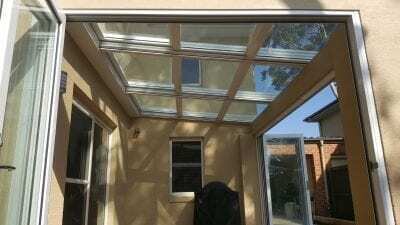 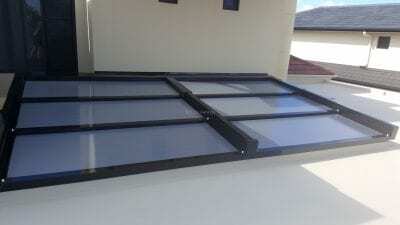 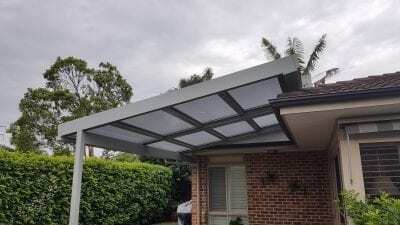 We can build your Eco Awnings Retractable Polycarb or Glass Roof as wide as you want. 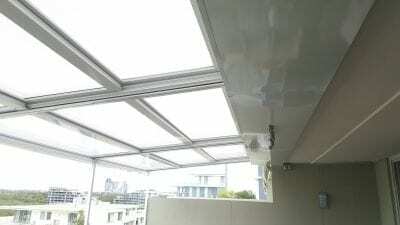 While the maximum projection from a wall is always 5800mm. 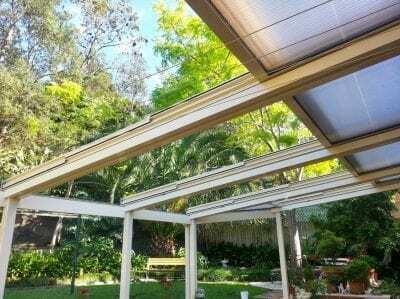 How many panels you need per bay is therefore determined by the projection from the wall. 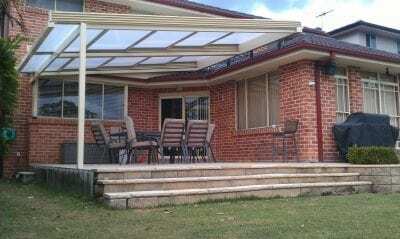 Your Retracta Roof can be mounted off walls or above your roof line to better use of your outdoor entertaining area. 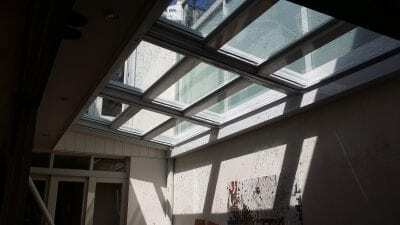 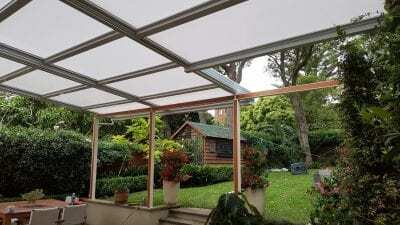 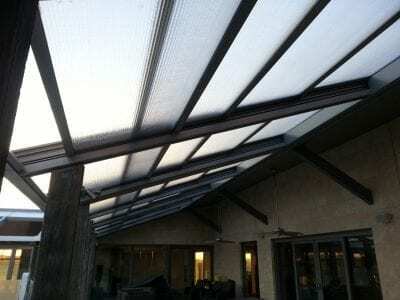 Or, Retracta Roof can replace a section of your existing roof, hence bringing the outdoors in. 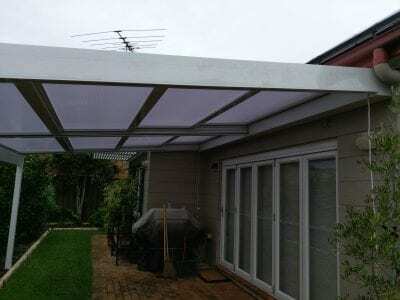 25mm insulated sandwich panels is available in several colours with sheets of powder-coated aluminium top and bottom and a foam insulating panel in the middle. 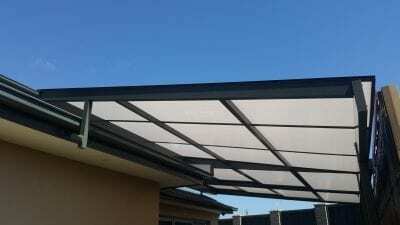 The Motors: Eco Awnings use top quality, extremely reliable Becker tubular motors from Germany. 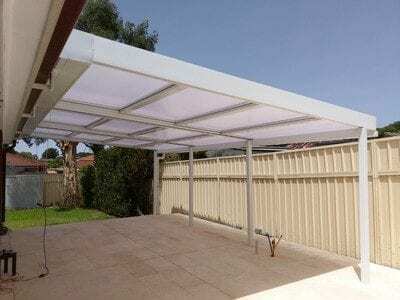 The Drive Chain Two heavy duty zinc coated steel chains move the panels. 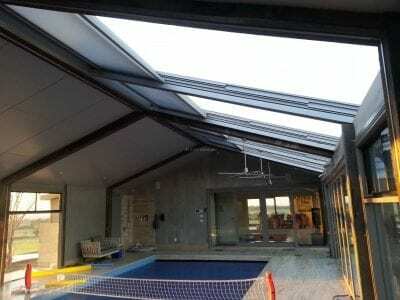 The chains are hidden inside the rafters, one on either side of the panels. 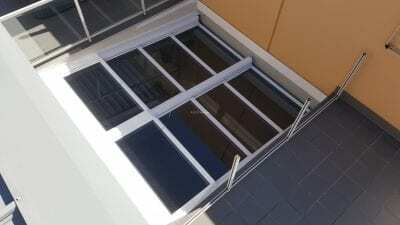 Metal drive mechanisms use roller bearings to ensure maximum durability, strength and reliability, do this because they will not wear out like fabric belt systems. 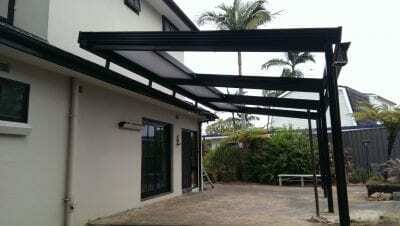 Maintenance The Eco Awnings design team put a lot of effort into making the Retracta Roof as Maintenance free as possible. 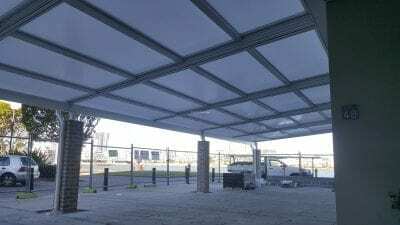 As a result, minor maintenance involves oiling the chain with chain lube once a year in most cases.